It's hard to believe, but the first post here on The Surprising God blog appeared on September 8, 2007---just about ten years ago. It was written by GCI Pastor Timothy Brassell. Over the years, there have been 540 posts, 1350 comments and 855,000 pageviews. 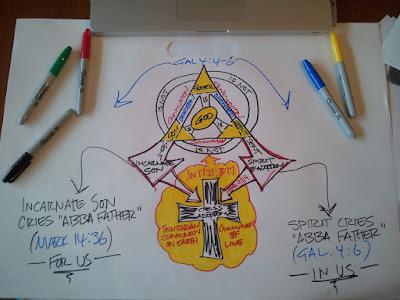 I'm grateful for the many who have commented and posted, and especially for whatever contribution this blog has made in helping readers grow in understanding, appreciating and living into the stunning reality addressed by an incarnational Trinitarian theology. Here's to ten years more? I'm grateful that this blog has benefitted you. Thanks for being a reader! I, too, have been one to benefit from this blog. I have a much better understanding of who our Triune God truly is for us in Jesus, God's one and only unique Son. I appreciate the continual teaching you do, Ted, in the sharing of the Trinitarian Life In Jesus.